Game of Thrones maybe one of the most popular shows on television today, but the original pilot for the show was a disaster. In fact, the show required so many rewrites, recasts, and reshoots, that it almost never aired. 2. George R.R. Martin originally quit a career in screenwriting to create the Song of Ice and Fire series, which would later become Game of Thrones. Martin was a writer for shows like The Twilight Zone reboot, but he felt restricted by the medium. He wanted to work on a project free from censors, budgetary constraints, and concerns about whether or not something was filmable. This is ironic considering the popularity the series has gained after being adapted for television. 4. When David Benioff and D.B. Weiss showed the unaired pilot to their friends, they were unable to identify basic plot points. For example, people had no idea that Jaime and Cersei were brother and sister. 5. While the original pilot is unavailable anywhere online, remnants of the unaired pilot can still be found in the first episode. If you look closely during certain scenes with Catelyn and Sansa, you’ll notice that they never in appear in frame at the same time, because the actress who originally played Catelyn Stark had to be recast. 6. 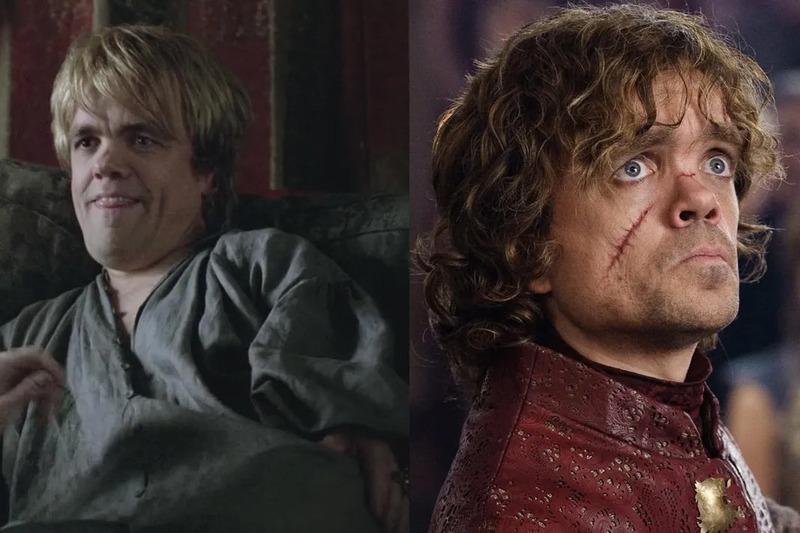 A golden blond Tyrion Lannister can be briefly seen in certain scenes, but his hair color was changed in the rest of the series to a dirty blond to better match Peter Dinklage’s natural hair color. 7. 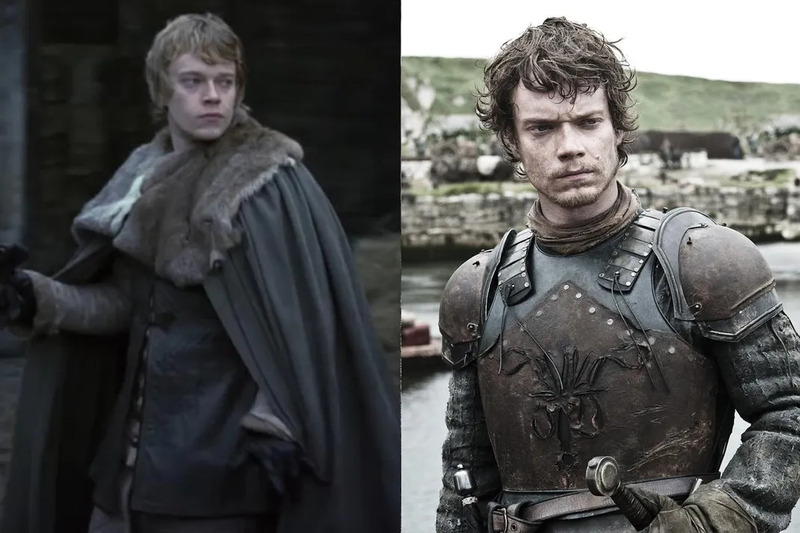 Alfie Allen, who plays Theon Greyjoy, also has blond hair in the pilot rather than the brown hair he wears in the rest of the series. 8. The makeup used for Sandor Clegane’s facial burns is noticeably different from what is used in later episodes. 9. The original pilot may have featured a flashback showing the deaths of Rickard and Brandon Stark, Ned’s father and brother who were murdered at the hands of the Mad King. 10. 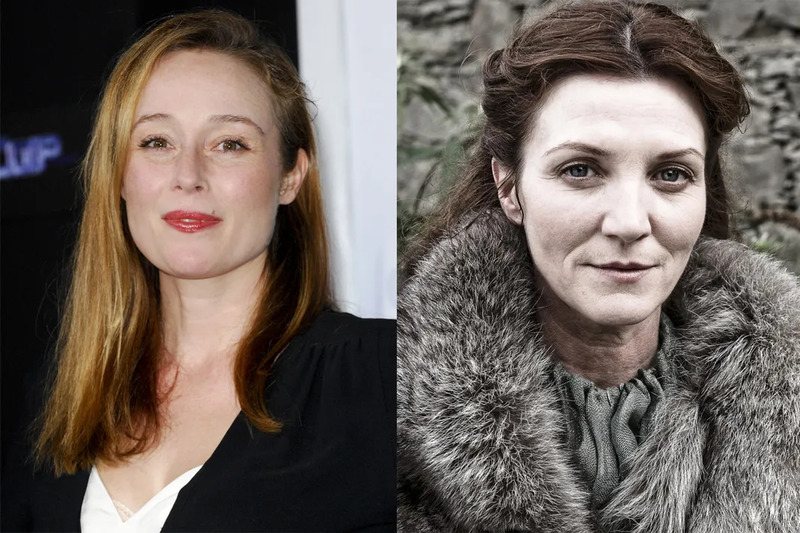 As we mentioned before, several parts were recast after the unsuccessful pilot including the role of Catelyn Stark, who was originally played by Jennifer Ehle and later played by Michelle Fairley. 11. 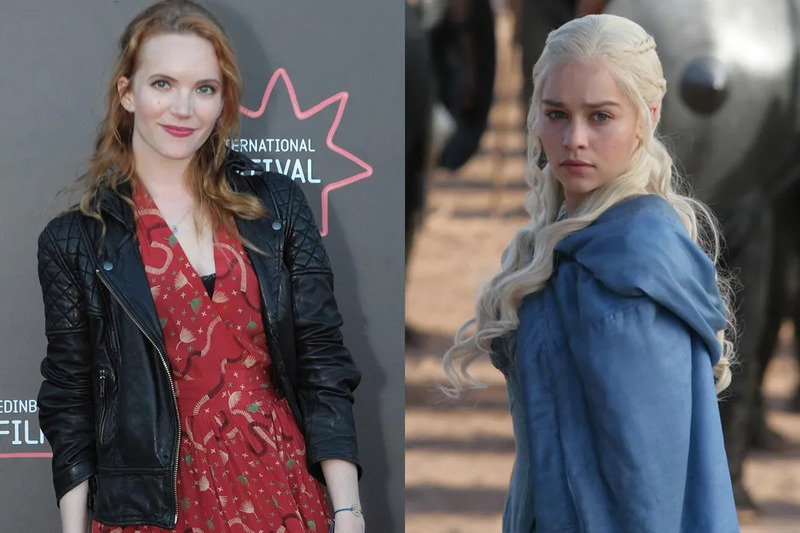 Emilia Clarke was not the original Daenerys Targaryen. In the unaired pilot, the role was played by Tamzin Merchant. 12. 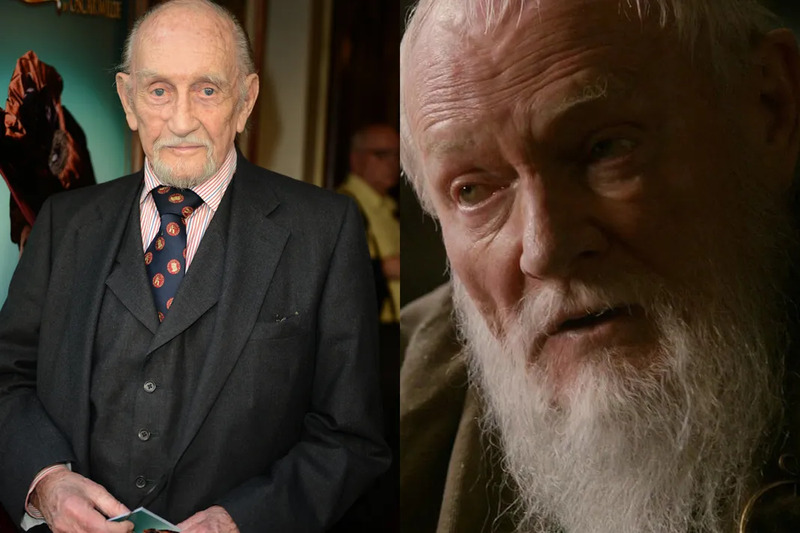 Roy Dotrice, who narrates the Song of Ice and Fire audio books was originally cast to play Grand Maester Pycelle. However, Dotrice fell ill shortly before filming and was replaced by Julian Glover. 13. Dotrice later appeared in Season 2 as Hallyne the Pyromancer. 14. Other minor roles were recast too. Ian McNeice, who originally played Daenerys’ guardian Illyrio Mopatis in the pilot, was replaced by Roger Allam. 15. Richard Ridings, who played the Night’s Watchmen Gared in the pilot, was replaced for the series by Dermot Keaney. 16. And Jamie Campbell Bower, who played Ser Waymar Royce, was replaced by Rob Ostlere. 17. In the unaired pilot, George R.R. Martin himself had a cameo as Pentoshi nobleman who “wore a gigantic hat.” However, his appearance was cut from the finished episode. 18. German folk band Corvus Corax had a cameo as musicians in Winterfell, but their scenes were removed completely from the episode. 19. The opening credits were originally much different and featured a raven flying around Westeros, rather than the iconic credit sequence we have today. 20. Peter Dinklage was the first and only choice to play Tyrion Lannister. Even if he is much more attractive than book Tyrion. 21. Peter Dinklage was good friends with Lena Headey before the show started and helped her land the role of Cersei. 22. Game of Thrones was Maisie William’s first acting gig.